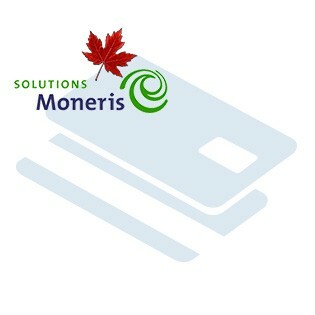 This module is for Moneris Redirect Payment Method for Canadian Companies, if you are a US customer please see the US version. Moneris calls this method 'Hosted Paypage Configuration', you can sign in the Canadian Merchant Resource Center here. 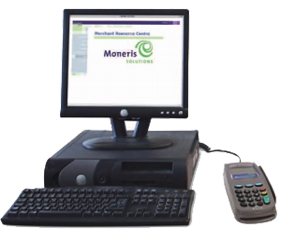 With this payment method in place, customers will be sent to Moneris where they will enter their CC information for enhanced security. 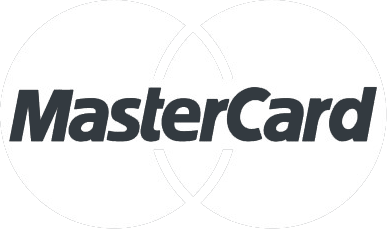 Once payment is made they are redirected back to your site. You should always backup your Magento Database & Magnto Installation files. For more instructions on how to backup your installation please refer to these instructions. Please read all instructions before you start so you understand all the caveats of installing this module. After you have downloaded the Moneris Redirect module for your store, please use a tool like Winrar, WinZip or similar to unzip the contents of the ZIP file you downloaded. Now check the extracted files, you should an "app" and "etc" folder. Then you are ready to upload your files. Open your favorite FTP/SFTP/SCP client and connect to the server with your Magento installation. Navigate to the root folder of the Magento installation, in other words the folder that contains folders like "app", "skin", "js", "lib" and more. Then, upload the extracted folders directly into the root of your Magento installation. Your FTP client will not overwrite any files, it will only upload the new files that come with the software. After you have uploaded the files, you need to login to your Magento administration panel and refresh your cache by going to System > Cache management. Select "Select All" and click "Refresh", so the cache gets updated. Then, go to your System > Configuration page and select Payment Methods. 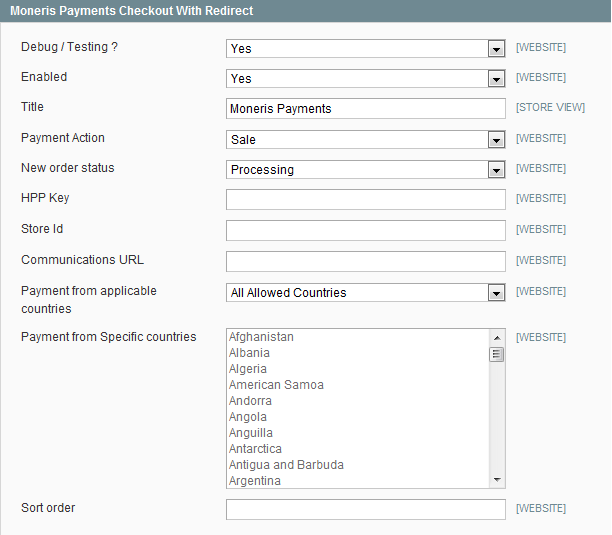 Verify that you have a new option called "Moneris Payments Checkout with Redirect" in the Payment Methods page. If you can see it there, the Moneris Redirect module has been installed correctly. To generate a test HPP Key and Store ID please visit the Moneris page here. Ensure you select 'Sent to your server as a POST' when presented with the options 'Sent to your server as a POST containing XLM' or 'Sent to your server as a POST'. The module includes a file 'CHshow_urls.php' which will show all relevant URLs for you. Just type in _CHshow_urls.php right after your domain and it should give you clear instructions on how to configure your Approved/Declined/Redirect URLS. You should delete this file before going live.